Concerns over applying weed killers near harvest time may prompt the question, "Can I use weed killer in my vegetable garden in the fall?" Several weed killers may be safe to apply in the fall. Always read the package directions for any weed killers, pesticides, or weed control products you purchase at the garden center, and follow them to the letter. You can use weed killer in the vegetable garden in the fall, but you must choose the appropriate weed killer. Before purchasing and using weed killer, consider your reasons for using it in the vegetable garden. 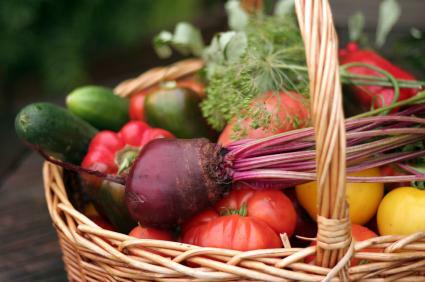 Remember that anything you put onto the plants or into the soil will eventually end up in the vegetables you harvest. Are you sure you want to add chemicals to the vegetable garden? Pulling weeds by hand remains the safest option for weeding the vegetable garden. There are several conventional and organic weed control products suitable for vegetable gardens that may be applied in the fall. Preen: Preen weed killer acts on weed seedlings, killing them as they emerge. If fall marks the time of year when you're harvesting rather than planting, Preen may be a useful weed killer. 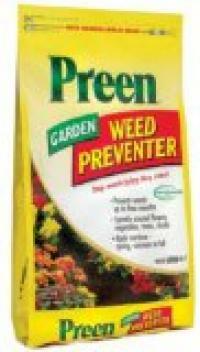 Because your vegetable plants are mature they won't be affected by Preen's weed killing ingredients. The label directions state that it may be used year-round. Organic Preen contains ingredients safe to use in the vegetable garden, but be sure to choose this product instead of the generic Preen products to ensure safety around edibles. Remove all mature weeds before using Preen. It won't kill existing weeds, but it will prevent new ones from taking over the vegetable garden. Glyphosate: Glyphosate is the active ingredient in weed killers such as Round Up, Kleenup and Weed Away as well as many other commercial brands of conventional weed killers. This chemical kills the leaves and roots of mature weeds. It doesn't stay in the soil, so if you apply it in the fall to the weeds, by next spring when you are ready to plant your vegetable garden it will not harm newly planted or emerging vegetable seedlings. Use this weed killer only if you've harvested all your vegetables for the season, since any liquid that gets onto the leaves of your vegetable plants may kill them, too, along with the weeds. There are several other methods of weed control for fall vegetable gardens that offer organic, non-chemical methods of suppressing or killing weeds. Newspaper blocks sunlight, and if you pile shredded leaves and grass clippings on top, it actually decomposes into a rich compost that adds nutrients to the vegetable garden. Don't worry about the ink on newspaper; most newspapers are printed with soy ink, which has a vegetable base and is safe for composting. Just don't use glossy newsprint such as coupons, advertisements or magazines. In the fall garden, it may be helpful to harvest all your vegetables first, then use the newspaper method to kill weeds and prevent them from coming up next spring. To use newspaper for weed control, spread a layer of newspaper about six sheets thick over the area where you want to suppress weeds. Layer on top grass clippings or fall leaves. Add another layer of newspaper several sheets thick. Moisten it with water. The newspaper blocks sunlight and kills weeds while prevent seeds from taking root. Next spring, simply cut a hole with your trowel through the newspaper and plant your vegetables. As the newspaper, grass and leaves break down, they will add rich organic compost to the soil. Solar sterilizing is another safe method of weed control. This method works best if you start it in the hottest part of the year, usually the late summer months of July and August or year round in the deep south. It's useful to sterilize the soil before planting your fall vegetables or vegetables you hope to over-winter. Clear the area of the garden by hand pulling noticeable weeds. Take sheets of heavy plastic, place them over the area, and anchor them by piling soil over the edges or rocks. Dark plastic or weed suppressing landscape fabric works best but you can use clear plastic. The sun's rays literally cook the ground underneath, raising the temperatures so high, they sterilize the soil. For more help with your fall weed control methods for the vegetable garden, talk to your local County Cooperative Extension agent. Before applying anything to the garden, be sure you're comfortable using chemicals near vegetables. "Can I use weed killer in my vegetable garden in the fall?" is a question that can be answered with a firm "Yes," but it's important to consider all the benefits and drawbacks before spreading any kind of weed killer.